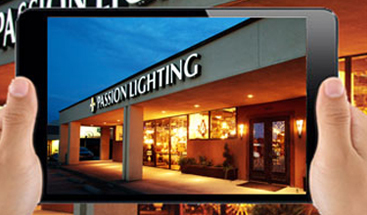 At Passion Lighting in Grapevine, our goal is to help every customer find the lighting options they need, no matter the application. In our blog series on lighting questions, we’ve thus far covered the bedroom, bathroom, kitchen, dining room, and living room. 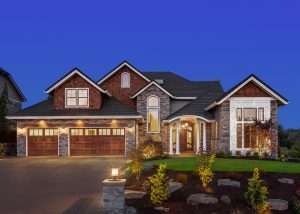 In this, our last post of the series, we’ll take a look at outdoor lighting and three questions you should be asking when it comes to your home’s exterior illumination. 1. Is My Lighting Enhancing My Home’s Curb Appeal? You want people to be impressed when they park in front or walk by your house after sunset. 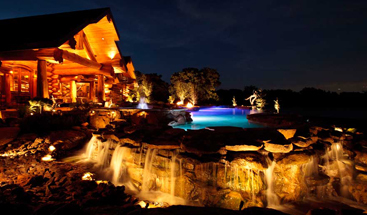 Your landscape and outdoor lights should show off the best features of your property, whether that’s the trees and bushes, or a unique aspect of the house’s architecture. Curb appeal also plays a large part when you’re trying to sell your home. Potential buyers may drive by at night to look at the property before their realtor shows them the inside of the property the next day. If the house’s exterior seems underlit, or there are too many dark areas for their liking, they may form a negative impression regarding the rest of the property. 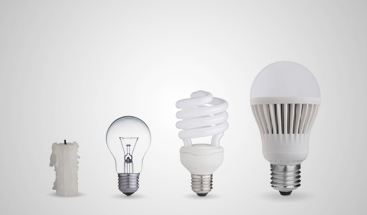 Adding new outdoor lights before you put the house on the market can go a long way. 2. Can People See Where They’re Going? When you have people over for a backyard barbecue or a pool party, chances are the festivities will last well into the evening. Once the sun has set, you want to be sure that people can see where they’re going as they make their way to and from the house, or to the edge of the property as they leave. Pathway and garden lighting can help define sidewalks and steps, and if you have a deck or patio area, people will be able to see where the elevation changes so they don’t trip and fall. Safety should be a top priority in any yard, and the proper lighting can help keep everyone free from harm. 3. Is My Yard Secure? Speaking of safety, you want your property to be secure once everyone has gone home or gone inside for the night. Landscape and outdoor lighting not only improves the ambiance of your yard, but it can also enhance the security around your home. Spotlights and floodlights eliminate dark areas where trespassers may hide, and motion sensors can deter intruders from approaching your front or back door. Timers on your exterior lights will keep fixtures on until the morning, and you can create the appearance that you’re at home, even when you’re away on business or taking a vacation. 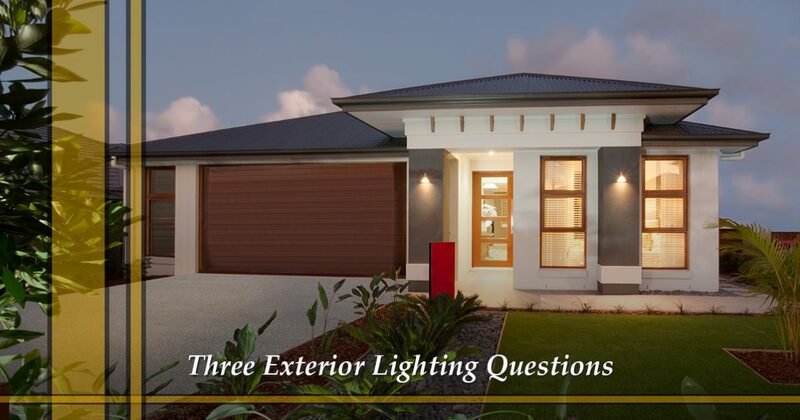 Asking these three questions can help you evaluate your outside lighting and hopefully create opportunities from improvement. If you’re thinking about selling your home, or you simply want to create a more comfortable and enjoyable environment around your property, then come to Passion Lighting today. Our showroom staff will gladly help you choose new outdoor fixtures that match your personal style and fit your budget.